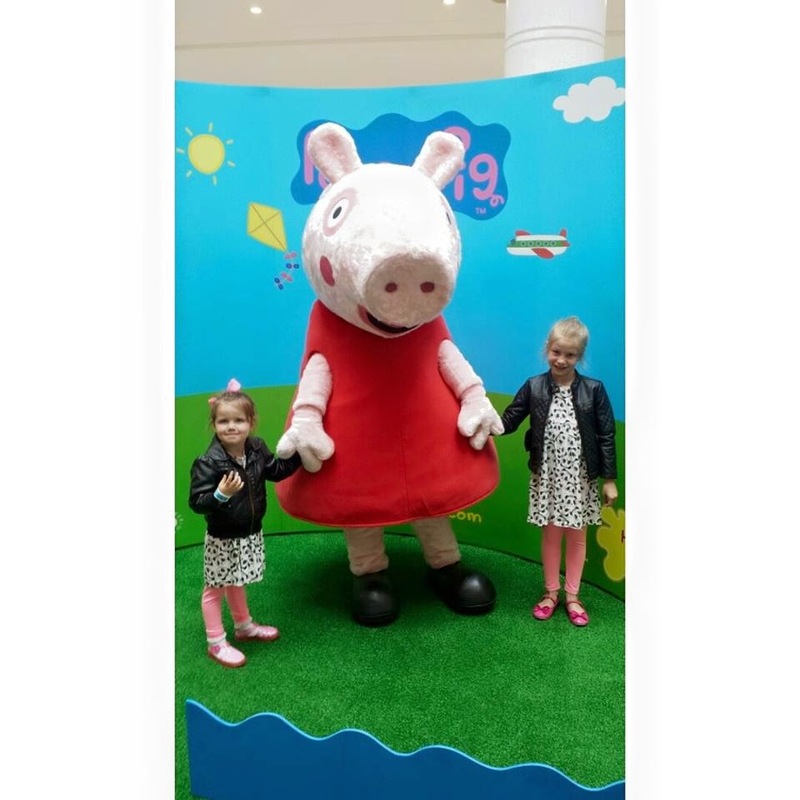 Last weekend the girls, myself, our neighbour and her little boy went along to some half term peppa pig fun at intu bromley shopping centre. We set off nice and early and made a pit stop at mc'donalds for lunch as a treat for the kids before we headed off to the peppa pig fun, We booked both the peppa stepp dance with peppa and a meet and greet in advance on the intu website both of which were totally FREE! We expected nothing but a little dance and quick photo there was half an hour between each thing we booked after all it was free you really can't expect to much BUT each of the little ones also got some cardboard glasses just like the ones peppa wears, a little book with activities in to have during the peppa steppa dance where we learnt a special dance instructed by peppa. 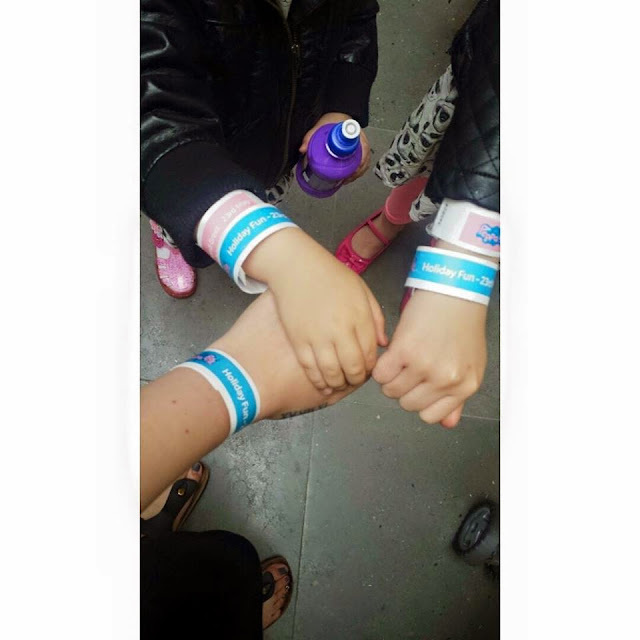 When our time was up and we were on our way out of the little arena the kids also got a sticker and a sticker activity book with an RRP of £3.99! All for free both me and my friend were really impressed we would have happily paid for the dance and meet and greet alone without receiving either of the books. I'll be keeping a close eye on my inbox for emails from intu alerting me of anymore activities going on during the half terms. Be sure to check your local intu shopping centres website to see what activities they have going on this half term.